The former first minister has instructed lawyers to go to the Court of Session over the government’s handling of harassment allegations made by two women. He is seeking a judicial review of a complaints procedure that was introduced by the Scottish Government last December. Yesterday, officials at the court confirmed that the case will go ahead later this year, with a procedural hearing taking place in Edinburgh on November 6. A substantive set of proceedings is then scheduled to take place over four days, starting on January 15, 2019. The complaints about Mr Salmond were made in January – just weeks after a new set of procedures about how to deal with harassment complaints was introduced with the blessing of current first minister Nicola Sturgeon. Ms Sturgeon had asked for the Scottish Government’s existing policies to be reviewed and updated following wider concerns about harassment at the Holyrood and Westminster parliaments. 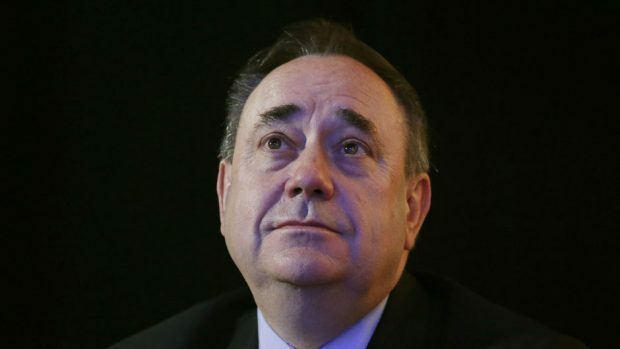 Mr Salmond claims the investigation into the complaints made against him was “unfair and unjust”, that he was given no opportunity to see evidence and was given no opportunity to properly challenge the case against him. He has raised £100,000 towards his legal bills through crowdfunding and written to the Scottish government’s most senior civil servant, Permanent Secretary Leslie Evans, urging her to probe how the claims were made public. The former SNP leader claims that somebody within the Scottish government breached confidentiality safeguards by leaking details of the allegations. The Scottish Government disputes Mr Salmond’s account of the investigation and has said lawyers will contest the action brought by Mr Salmond. Police are also investigating the allegations.